What is a PayPal alternative? If you’re looking for a PayPal alternative, you’re in the right place! Nochex has been enabling entrepreneurs and businesses to take online credit and debit card payments for over 20 years. Many merchants visit Nochex when looking for a PayPal alternative due to the lack of communication. Perhaps your account has been closed without reason, or your funds have been frozen and you don’t know why. Fortunately, Nochex has 24/7 UK customer support, and every merchant using Nochex gets it’s own account manager – a great alternative to PayPal! Nochex gives every account holder it’s own account manager. You can call this professional ecommerce expert at any time during the day to discuss your account. Nochex helps you with your website to ensure it is fully compliant – unlike PayPal that often hold funds and close accounts without reason. Nochex, as a PayPal alternative gives you a customised payment page that matches your companies brand. This is optimised to convert sales. If your business is looking to accept card payments, with a dedicated UK account manager ready to answer your questions and queries, choose Nochex! Online merchants come to Nochex for many reasons: because our charges are lower, because our service is better, because our payment solution works so well. But many former PayPal business account holders come to us because we listen when they tell us about their experience with the world’s leading payment service. These days we offer our merchants a whole range of payment solutions to help them get paid quickly and conveniently. For example, you need to take payments over the phone – we can help you with that. You want to send your customers invoices – we can help you with that. You want to set-up recurring subscriptions – we can help you with that. 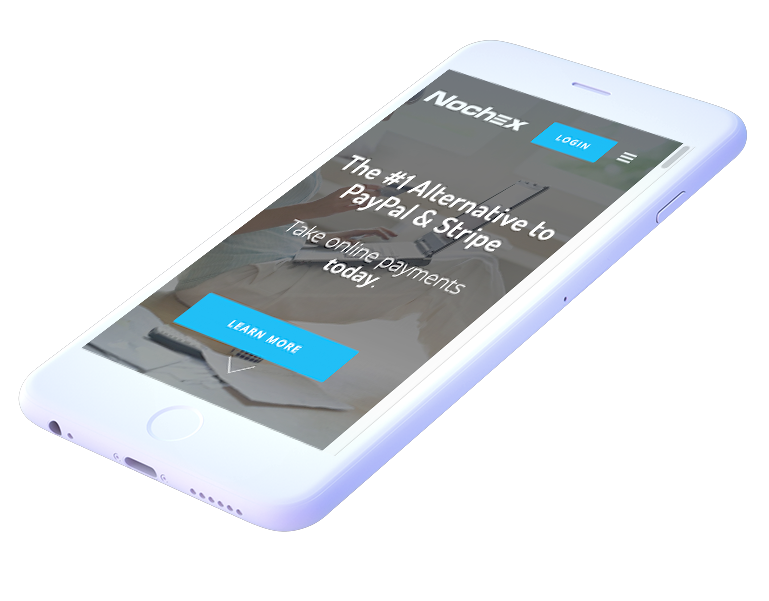 In fact, we can help you with a whole host of payment solutions, and once you set-up your Nochex account, we won’t make you subscribe extra for the privilege of using these services – unlike PayPal. Are you looking for a PayPal alternative?